WrestleMania 35, WWE’s biggest event of the year takes place at MetLife Stadium in East Rutherford, New Jersey, and will be making history as the first WrestleMania to have a Women’s Championship in the main event. There will also be plenty nostalgia for fans as former WWE World Champions and Evolution members Triple H and Batista will battle in a No Holds Barred match, and WWE Hall of Famer Kurt Angle will be wrestling his final match when he takes on former acting Raw General Manager Baron Corbin. Former WWE Champion John Cena is also expected to make an appearance. 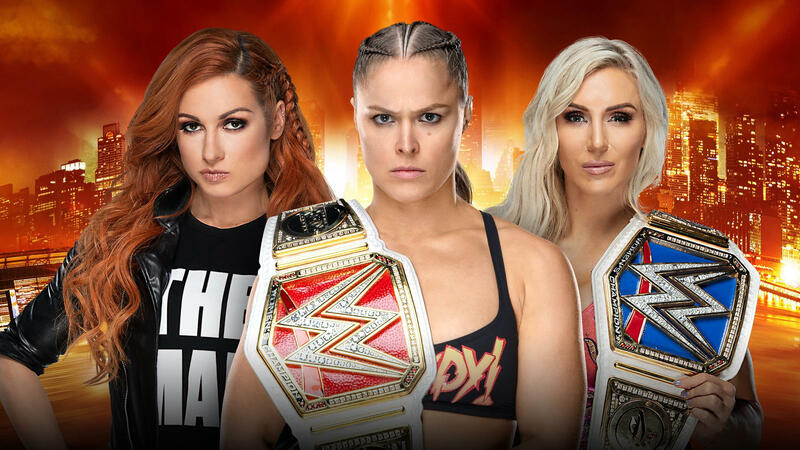 WrestleMania 35 will be a historic event when these three talented women main event and close the biggest event of the year. This match is unique because what had originally been a match for Ronda’s Raw Women’s Championship, turned into a winner take all for the Smackdown Women’s Championship, when Charlotte defeated Asuka on Smackdown to become the new champion. 2019 Royal Rumble winner Becky Lynch is coming into this match as arguably the most popular superstar on WWE’s roster; she has reinvented her character, referred to herself as “The Man”, and have many fans comparing both her rise in popularity and character to Stone Cold Steve Austin, which is positive considering he was one of the biggest stars in WWE history. Ronda Rousey made a change in her own right by turning heel and showing a different side of herself in the buildup to this match. Ronda has done a great job in embracing the boos and channeled that energy in her promo, which have improved in the past few months. Fans know of her legit fighting background, which makes her look even more of a threat as a heel. In the past couple years, Charlotte Flair has arguably been one of best in-ring performers man or woman in WWE. Charlotte has worked hard to build her own legacy in pro wrestling, which is difficult because her father is “Nature Boy” Ric Flair, one of the greatest and most beloved wrestlers of all-time. Regardless of opponent, Charlotte has done a great job in having the best possible match, while also showcasing her athletic ability. Prediction: Becky Lynch. Even though each woman can provide WWE with different options storyline-wise going forward, I think that with this being the first women’s main event and Becky being built up as the fan-favorite, WWE will have her become the first woman to hold both the Raw and Smackdown Women’s Championships and provide a memorable moment to send fans home happy. The WWE Championship match is another highly anticipated match on this card and will surely have fans invested throughout. 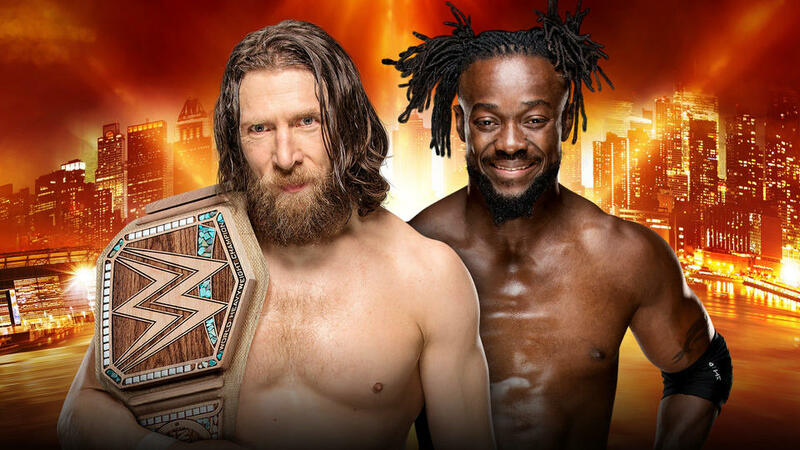 After eleven years in WWE, Kofi Kingston finally gets his one-on-one WWE Championship opportunity and it comes on the biggest stage of all. Daniel Bryan on the other hand, is walking in to WrestleMania as WWE Champion for the first time in his career and is the biggest heel on the roster, which would have sounded crazy to even think about one year ago. Kofi’s rise to the main event scene has been unique; he replaced Ali in the Elimination Chamber match at the Elimination Chamber pay-per-view, after he was injured during a match on Smackdown, and has taken full advantage of the opportunity by getting the fans heavily invested in his success. Daniel Brayn has done an excellent job as a heel since winning the WWE Championship from AJ Styles and then announcing that the YES! movement was dead. Bryan along with Rowan, who returned at the Royal Rumble, has labelled fans as being fickle minded and blamed them for destroying the planet. He introduced a new ECO-friendly WWE Championship because he is the planet’s champion and will continue to be a positive representation of the planet. Kofi Kingston’s path to a WWE Championship match is similar to Daniel Bryan’s at WrestleMania 30, when he had to overcome many obstacles to get his WrestleMania moment. Kofi and The New Day had to wrestle in gauntlet matches with Smackdown’s top stars and they were collectively able to make this match a reality. Prediction: Kofi Kingston wins to become the new WWE Champion. I think Kofi will win because WWE will want to capitalize on his popularity at the moment with KofiMania and the win could potentially lead towards a breakup of The New Day, that could see Kofi defend his title against either Big E or Xavier Woods, or even a triple threat with all three battling it out for the WWE Championship. There has been a lot of speculation surrounding the Universal Championship match between Brock Lesnar and Seth Rollins. Last year, it looked as though WWE were going to have Lesnar drop the title to Roman Reigns, but he ended up retaining and holding the title until SummerSlam. This year isn’t much different; 2019 Royal Rumble Seth Rollins is being built up as the “Beast Slayer” and got the upper hand during the confrontation on Raw. This match hasn’t had the same hype surrounding it compared to the WWE Championship match on Smackdown and even the promos leading up to the match weren’t as good as the ones leading up to Lesnar's title defense against Finn Balor at the Royal Rumble. Since this isn’t the main event, WWE could use it as an opportunity to have Lesnar to continue his title reign and gain more heel heat in the process. 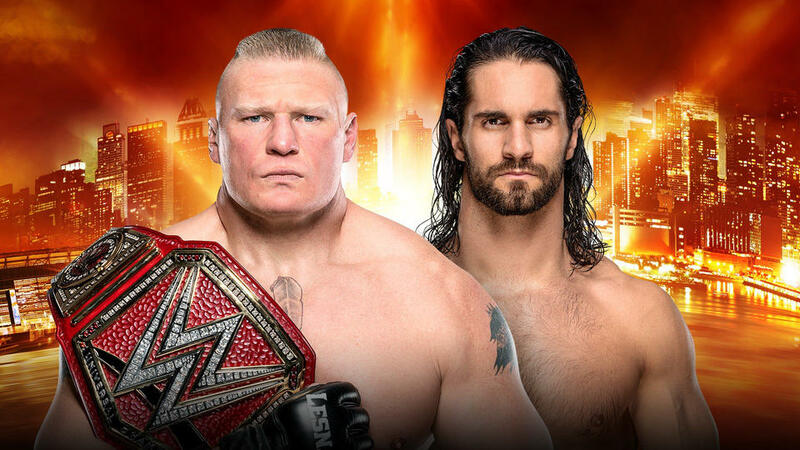 WWE is returning to Saudi Arabia in June, so they could hold off on Lesnar dropping the title until then since it could be the first time the title changed hands during those events. Another possibility that shouldn’t be ruled out is Seth Rollins winning the Universal Championship while turning heel in the process. Some of Rollins’ best work in WWE was when he was a heel, so WWE could revisit that and have him turn at WWE’s biggest event of the year. With Dean Ambrose leaving WWE and Roman Reigns returning, it may be best for Rollins to turn heel and start a feud with his fellow Shield member Reigns. Prediction: Seth Rollins wins to become the new WWE Universal Champion. Lesnar is confirmed as Daniel Cormier’s next opponent in the UFC however, the date is currently being discussed and dropping the title at WrestleMania could signify that the fight date is approaching. A match that could easily steal the show at WrestleMania is one for respect and not a championship. Both these former WWE Champions will battle it out to prove which one of them is the true face of Smackdown. This match is also unique because for years, Randy Orton and AJ Styles had been the constant in their respective companies; Orton for WWE and AJ for TNA. AJ Styles is one of the stars that made a name for themselves in TNA wrestling and one of the reasons for the company being a viable alternative to WWE while Randy Orton on the other hand, has consistently been one of the focal points of WWE programming since making his debut in 2002. Unlike his fellow OVW class that included: Brock Lesnar, John Cena, and Batista, Orton didn’t venture into Hollywood and didn’t attempt to cross-over to multiple sports like Lesnar had done with the UFC. As a result, AJ and Orton is special because both can put on exciting matchups and the buildup has seen a great war of words between the two, with both making references to characteristics they believe the other had stolen from other wrestlers. Prediction: AJ Styles wins. AJ and Orton are at a point in their careers where they don’t need the WWE Championship, so if this match ends up starting a long-term feud, I’d be okay with that. During the main event of WrestleMania 21, who would’ve thought that those two men would be fighting at WrestleMania again 14-years later? The seeds were planted for this match back at the 1000th episode of Smackdown, when Evolution reunited as a group and Batista praised all the members of the group, before adding that Triple H has done everything in the business except beat him. The crowd became immediately invested from that point on and Batista wouldn’t appear on WWE programming until February, when he attacked Ric Flair backstage and asked The Game if he had his attention now. When the match became official, Batista thanked Triple H for allowing to end his career on his terms and then added that he’s happy knowing that he’ll be ending his career as well. The stipulation of Triple H being forced to retire certainly raises the stakes for The Game but if the past is any indicator, he’s come out victorious when faced with the same stipulation. Much like past matchups between these two legends, this No Holds Barred match is expected to be a grueling and violent match and a fitting end to one of their careers. Prediction: Triple H wins and Batista officially retires from wrestling. For more WrestleMania predictions, check out the BarnBurner’s WrestleMania shows on 108 platforms including: iHeartRadio, Spotify, iTunes, Google Play, Stitcher, SoundCloud, and wherever else you get your podcasts.